Hi Mohawk fans! 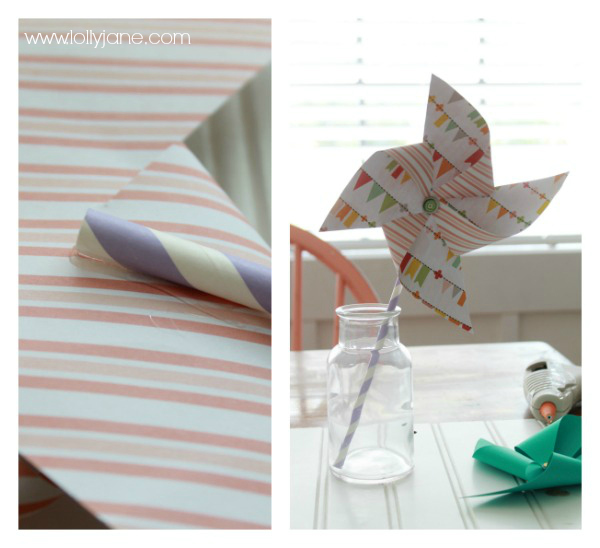 Today we’re back sharing the easiest craft– summer decor paper pinwheels! These are quick to make and add fun pops of color to your summer mantel without spending a lot of money. Cut 3 different scrapbook pieces into 6″ squares. Cut 3″ slits in each corner, toward the center but don’t cut all the way through. Fold and glue each right corner into the middle. Glue each corner on top of each other in the center of the paper. Glue your embellishment, button, bow etc. 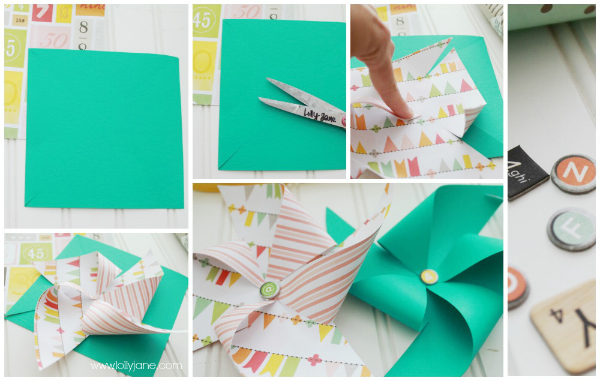 in the middle of the pinwheel to cover the corners. 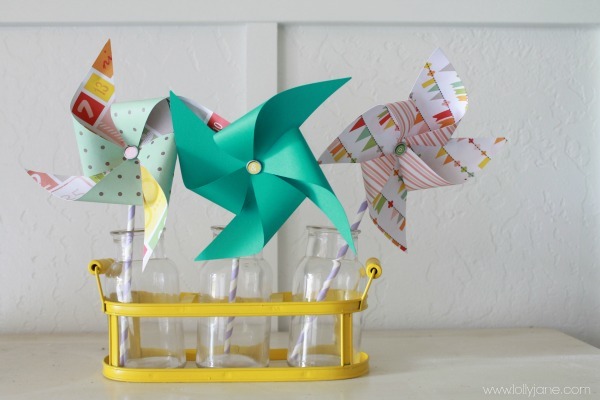 Glue a paper straw to the backside of the pinwheel and place in a jar for an easy summer mantel or summer decor. We snagged these cute jars & holder during Michael’s 1/2 off sale last weekend. Use your coupon, and you can score the same deal! Such a cute piece of decor that’s so versatile! 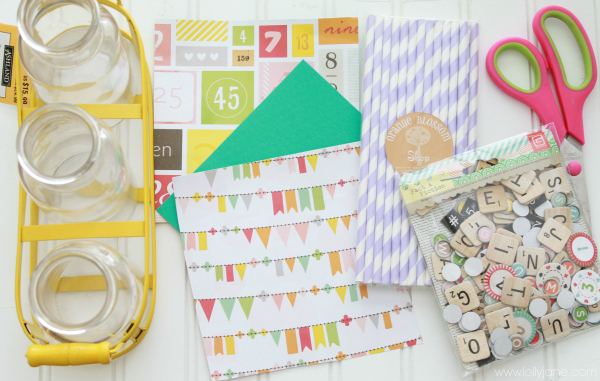 The adorable straws are from our buddies’ Orange Blossom’s etsy shop. Lots of cute decor for your home. 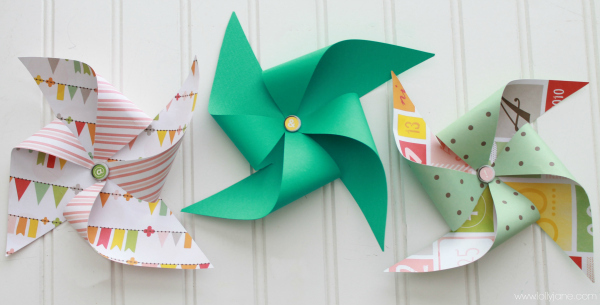 We love these pinwheels because you can use them year round, just use different paper for different holidays. And the best part is older kids can do this too. 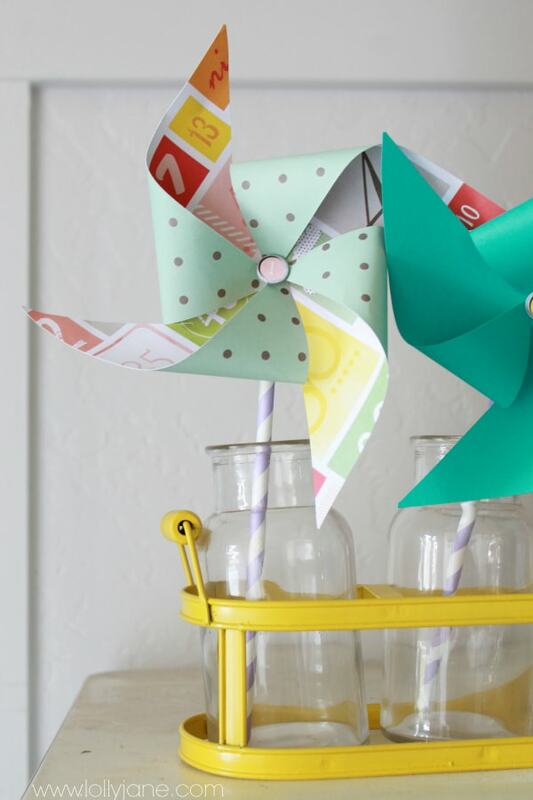 Love us some kid-friendly crafts. Happy summer! Stop by our FB, Twitter, Pinterest and IG to see what else we’ve been up to! Love these LollyJane! So fun!